Oozing with history, culture and natural beauty, we’re still unsure as to why this classic European spot isn’t on everyone’s bucket list. Still, we’re not complaining, there’s nothing better than feeling as though you’ve discovered a hidden gem. We won’t blame you if you want to keep this one to yourself. In just five nights, we’ll show you the very best of Lithuania. Setting up your base in Vilnius’ Old Town, you can traverse as much or as little of the country as you want. But what will you find there? Read on and find out. Arriving in Lithuania, you’ll be transported from the airport to your luxury digs at the beautiful Kempinski Hotel, set in the very heart of Vilnius’ Old Town. You couldn’t be closer to Vilnius’ highlights if you tried, and you’ll enjoy stunning views from your room over Cathedral Square. 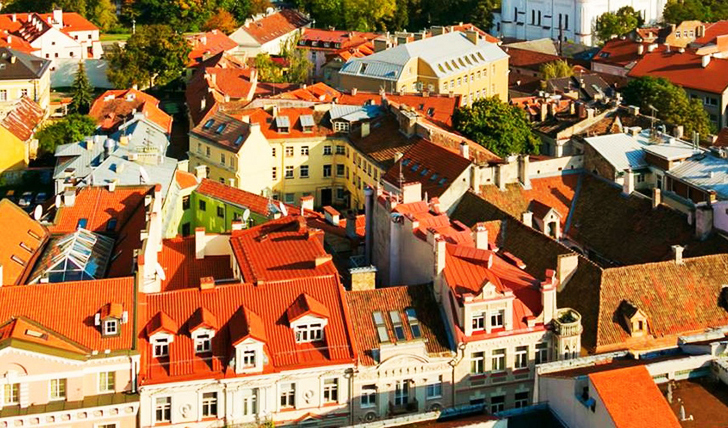 We say settle in and relax on your first day, meandering through the charming lanes of Vilnius. When night falls, make your way to the innovative Bistro 1 Dublis, one of the best restaurants in Lithuania, where we’ll have a table booked for you. Each dish has a flare of personality from the creative chef in residence and will be an unforgettable meal. What’s more, with only a few seats in the restaurant itself, it will no doubt be an intimate affair. Your second day should be spent exploring Vilnius properly. There’s a strong sense of history and culture here and thus it serves as a satisfying city break destination. Home to Vilnius Cathedral, Gediminas Castle Tower and Vilnius University, which dates back to the 1500’s, amongst many other things, you’ll easily fill a whole day seeing the sights. On day three you’ll need an early start. Whether you’ve opted for the private driver or your own hire car, it’s time to drive cross country to Lithuania’s coastline and the famed Curonian Spit, a UNESCO World Heritage Site and one of nature’s most stunning wonders. In just a few hours you’ll have driven right across Lithuania, taking in the country views that surround you. Upon arrival at the site, you’ll discover the strip of sand that is over sixty miles long yet barely a mile wide, adorned with forests and followed by exciting cycling trails. Hop on a bike for a day of adventure or simply wander along the powder soft sands, climbing the astounding sand dunes as you go. The towns that lie along the spit are charming and authentic and there’s an array of shops and restaurants serving delicious and traditional fare. From the cross-country drive to the charming atmosphere by the coastline, by the end of the day, you’ll really feel like you’ve experienced true Lithuania. 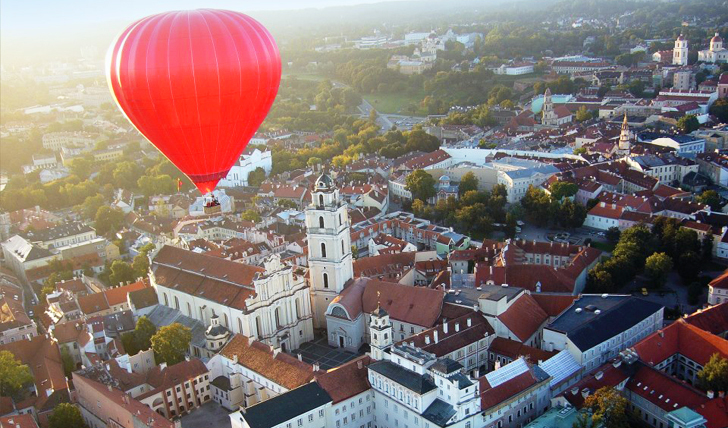 Back in Vilnius, we’ll ensure that one of your days will see you embarking on an incredible hot air balloon ride so you get that perfect view over Lithuania. Choose between rides over the stunning architecture of Vilnius and the lake resort of Trakai. Back on land, we’ll then have you booked in for some spa treatments at the Kempinski’s luxurious spa and health centre. Choose between massages, facials, scrubs, wraps…well, anything really. Kick back, relax and reminisce about the beauty you’ve discovered thus far. On your last day in Lithuania, it’s time to hop in your car again and explore more of the country. A drive out to the beautiful lakeside town of Trakai takes less than an hour from Vilnius and is well worth the drive. Take a dip in the crystal clear waters in one of the lakes and discover the beauty of Trakai Castle. When you’ve had your fill of Trakai’s wondrous offerings, it’s back in that car for the slightly longer drive over to Kaunas. Here you’ll find a charming old town with baroque, gothic and renaissance architecture, as well as treats like the oldest stone castle in Lithuania, a cathedral and an array of museums, shops and restaurants. The perfect end to a fairy-tale adventure through Europe’s best-kept secret, don’t you think?